How Long Does it Take to Rehab From Meniscus Surgery? Meniscus injuries -- tears in the shock-absorbing structure in your knee joints -- are the most common type of knee injury in people of all ages. These painful injuries often require surgery to trim frayed edges or repair tears in the meniscus. Rehab after surgery will improve movement and strength in your leg. In general, your rehab will be complete within a few months after surgery but may continue for as long as 6 months. Immediately after meniscus surgery, your knee will likely be immobilized in a brace locked in a straight position. You will use crutches, and your doctor may limit the amount of weight you can put on the injured leg. Ice may be applied to your knee several times per day to decrease pain and swelling. Within 7 to 10 days after surgery, your stitches will be removed and physical therapy will begin. Phase 1 of rehab after meniscus repair may begin within a few days after surgery and continue for 6 weeks. Your physical therapist will remove your brace, and you will likely perform quad sets -- tensing of the muscles on the front of your thigh with your leg straight on a supported surface. You will also slowly begin to bend your knee until you are able to move it to 90 degrees. Your doctor may instruct you to remove your brace during the day, except while walking and sleeping, to perform exercises prescribed by your therapist. You will gradually increase the amount of weight on the injured leg while you walk, decreasing your need for crutches. Exercises that do not put weight on your leg -- such as stationary cycling -- may also be part of your physical therapy program. Phase 2 of rehab typically begins around week 6 and continues through week 10 after surgery. Your brace may be unlocked in this phase to allow a limited amount of knee bending while walking. You will perform exercises to restore full bending and straightening of your knee. Strengthening exercises in this phase may include step-ups, balance training -- such as standing on 1 foot -- and mini-squats. You may also perform exercises using ankle weights for added resistance. Toward the end of phase 2, plyometric training -- jumping activities -- may also be included in your rehab. Phase 3 rehab begins when you have full, pain-free movement of your knee. 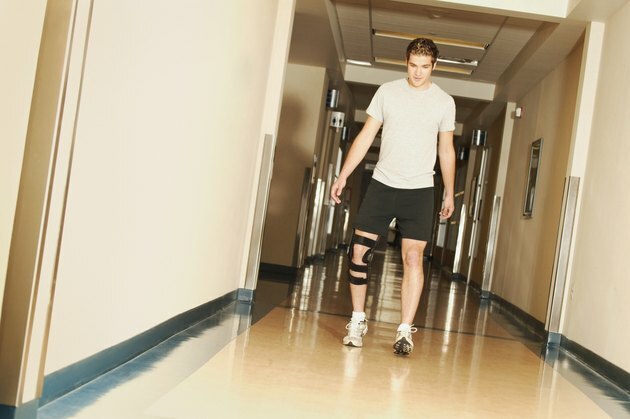 You may continue to wear your brace while walking, though it will likely be unlocked. Approximately 4 months after surgery, your doctor may allow you to start running activities in therapy. 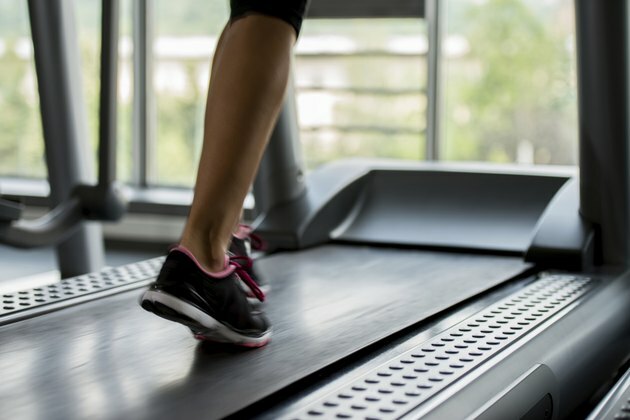 This typically begins on a treadmill, and you may initially start by walking or jogging backward to reduce strain on your injured knee. If you are an athlete, box jumps, agility exercises and sprinting activities may be added as your strength improves. How Long Is Rehab After a Bicep Surgery? When Can I Exercise With a Fractured Foot?